3D Lapel Pins And Die Struck Lapel Pins, What is the difference. 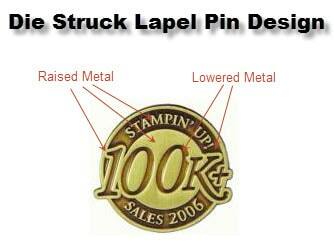 We are often asked to explain the difference between a 3D Lapel Pins And Die Struck Lapel Pins. 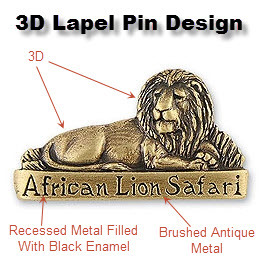 The difference is huge, however certain designs do not require a 3d lapel pin design. The answer is, it really depends on the design. I will show some examples of the differences. They always say that a picture is worth a thousand words and I believe that it hold true when trying to demonstrate the difference between the 3D design and die struck lapel pin designs also known as soft enamel lapel pins. Let’s start with a normal die struck or soft enamel pin. A die struck or soft enamel pin has raised and lowered metal. This example shows an antique gold lapel pin. The reason that the antique process is awesome is that the fact that the recessed or lowered metal areas are usually darker, and then create a beautiful contrast with the raised metal portions of the lapel pin, so it really makes the design pop! 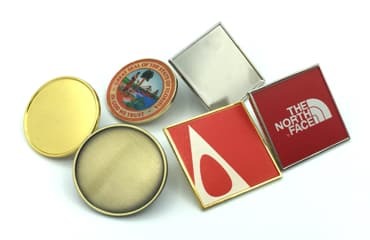 On a normal die struck or soft enamel lapel pin, you will notice that you have two options, raised or recessed metal. This design is perfect for this type of lapel pin process. The arrows demonstrate where the raised and the lowered portions are on the lapel pin. The pin on the right is a great example of a 3D lapel pin design. You will notice that the lion really looks great in the 3D design. The base lapel pin color is antique gold, which gives lighter and darker shadows as the metal is raised and lowered. You will notice that in the lowered metal areas, the pin darkens up quite a bit. What you should notice is that the body of the lion is not just simply raised and lowered metal. The raised portion of metal on the lion curves and in certain areas, gradually raises up and then gradually lowered again. It is really the curvatures that separate the two styles. If you now compare the two styles, you will the gradual and rounded raised metal portions on the 3D lapel pin design vs the die struck pin, where the raised metal is all the same height. Also the raised metal elements of the die struck lapel pin design are almost like little walls that just go straight up, where the 3d design really curves up. So let’s look at an examples of what you would see (magnified) on a side profile of a 3D lapel pin vs a die struck lapel pin. If you are not sure which lapel pin process to choose from, please just contact us at 888-309-PINS (7467), or via live chat, or using our Free Lapel Pin Quote and our “PIN”gineers will be able to walk you through the whole process of ordering lapel pins and give you their best recommendations for your lapel pin design! The Pin People are always here to help! The Pin People created the first Pin School, to assist anyone who looking to create a custom lapel pin. Although we are constantly adding new tutorials to pin school, you will find very useful tutorials to assist you with you custom lapel pin designing process. 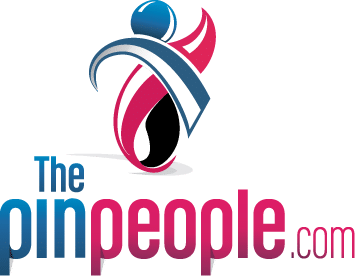 Lapel Pin Designing Factors – Size Matters! 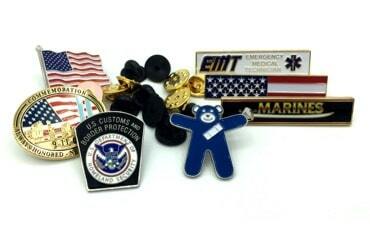 Lapel Pins come in every different size and shape that you can imagine. So let’s discuss how a lapel pin is measured. Place a ruler on the table. Lay the lapel pin on the ruler. I was recently contacted by a client who was an artist. This artist was having an exhibition of their work in New York City Art Gallery. This artist had an idea that they wanted to capitalize on the exposure that they would receive at the exhibition. So hence an idea was born! 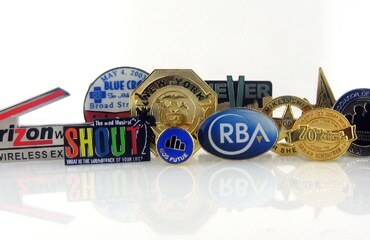 Custom lapel pins are powerful tools if you’re looking to maximize your profits while fundraising. There are many ways to use lapel pins to maximize your fundraising efforts. Cutouts create a beautiful effect for a lapel pin. Although the cost is a little higher when designing a pin with a cutout, the over all gain for the design maybe worth it. There are pins that have multiple cutouts to create desired effects. Custom Lapel Pins have always been just a trinket that people have never paid much attention to. Then when 9/11 hit, they made a huge come back to show support for the NYPD and the FDNY.